Marine Cpl. Mike Nicholson, 23, thought the Marines would provide discipline in his life, so he joined in June 2008. In April 2011 he was deployed to Afghanistan. 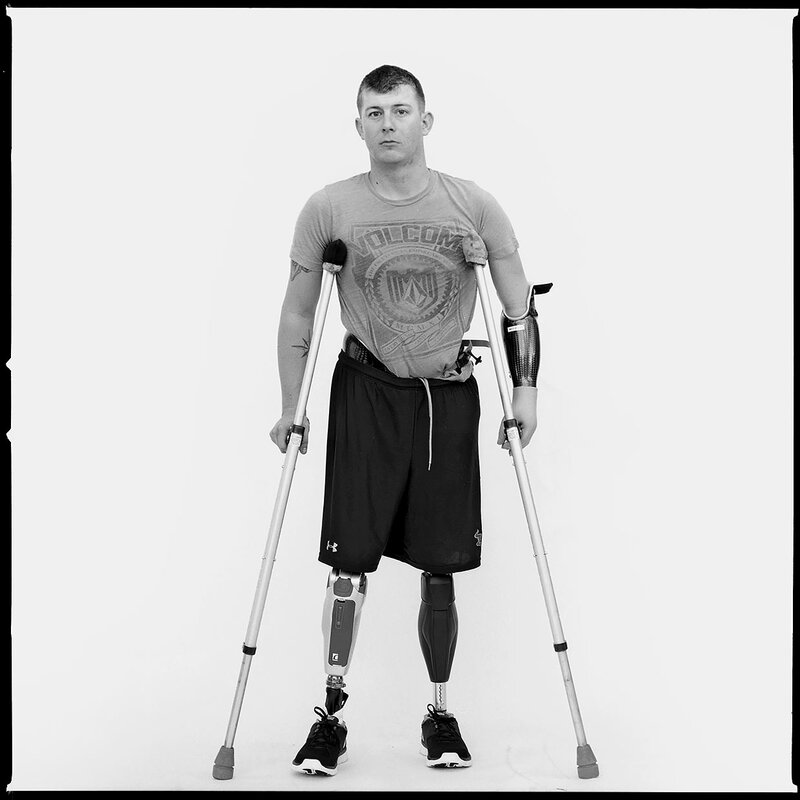 Three months later he was severely wounded by an IED while on patrol. He lost both legs and his left arm. He will undergo his 28th surgery in Bethesda, Md., this month. 'You think about it every day — what happened — at least once. But I don't dwell on it. That's going to do nothing but hurt you. So you kind of just have to get past it and try to make light of the situation. The best medicine is humor. If you can laugh at yourself, then you're pretty much set. Whenever we go see the guys up at the hospital we try to make them laugh, put a smile on their face at least a little bit. "You feel sometimes that you're not the same person that you were before, but you are. Just a little different, but you're still the same person." "If you dwell on it, you'll make yourself upset. You've got to push through it and get on with your life. You can't just sit there and be like, 'Well, I could have stepped there or I could have stepped there.' Guess what? You didn't."